You'll be £12.99 closer to your next £10.00 credit when you purchase Disaster at D-Day. What's this? Order within the next 4 hours, 9 minutes to get your order processed the next working day! Peter Tsouras, both as a writer and as an editor, is an expert on alternative outcomes for history’s great events. He never speculates wildly and always uses meticulous research. 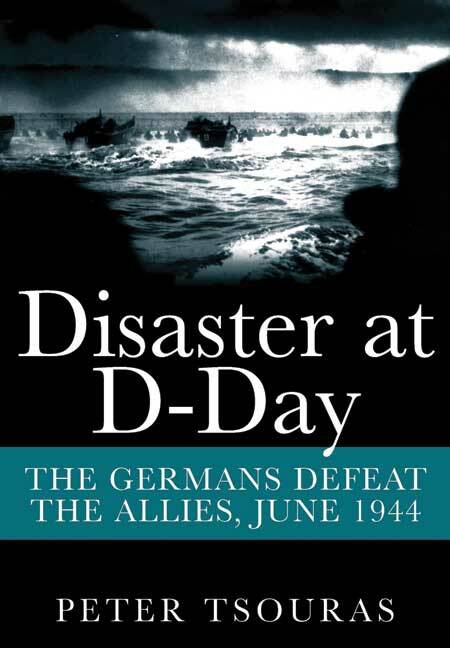 Here, he turns his attention to D-Day, and as the reader will quickly gather, it only takes a few factors to change to greatly influence the outcome of events. We see it wouldn’t have taken a lot of changes for D-Day to turn out differently. For instance, had the German defenders had greater latitude in deploying their panzer divisions, or if the Germans had used the divisions they kept back to defend Pas de Calais. Overall, this is up to Peter Tsouras’ consistently high standards and an engaging read.